We’re looking to take a little break from our extensive MACNA coverage to revamp a series that we started several months ago, which highlights the prominent female members of our diverse aquarium community. The subject of our third and far from last, installment of this series is industry pioneer, Ariel Freudenthal. 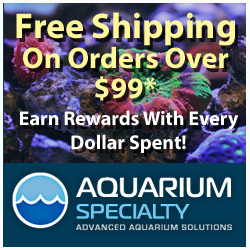 As you can tell from her very detailed story below, Ariel has a rich history in the aquarium industry that started very early in her life and has culminated in the founding of a popular aquarium products company. We had the great pleasure of meeting Ariel at several different MACNA conferences, and each time she was holding down the Blue Life USA booth and doling out information about the spectacular product line she had a big hand in developing. Despite the brevity of our encounters and the immense amount of people distracting the conversation at every turn, we always left with a strong feeling of enlightenment. Her thorough knowledge of both the Blue Life USA products and other items available to hobbyists impressed us greatly, and when it came time to write this article, we would have been remiss if she wasn’t included. That in mind, we went straight to Ariel to find out how she got to where she is today, resulting in the thorough telling of her journey within in the aquarium industry. Ariel’s history within the marine aquarium industry is both extensive and extremely diverse, and naturally so. Her passion for the marine aquariums was built right into her genetics, and her involvement in the hobby was seemingly inevitable. 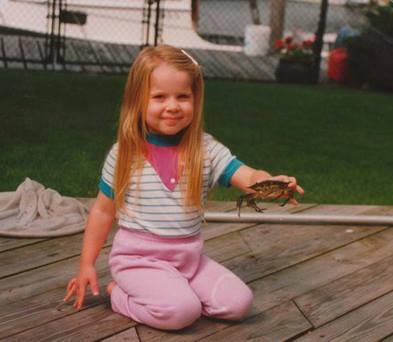 Both of her grandparents are well respected marine biologists, whom obviously had a big influence on Ms. Freudenthal’s passions and the role she’d eventually take on. Her grandfather, Dr. Hugo Freudenthal, is credited with discovering the life cycle of zooxanthellae and has done amazing work on dinoflagellates and foraminifera. Suffice it to say, Dr. Freudenthal’s work has been very important to the scientific community and our reef keeping hobby. Ariel’s grandmother is also well entrenched in the field of marine science as well, as she is considered one of the foremost experts on algae, nudibranchs, dinoflagelettes, and marine diseases. Again, these topics all tie directly into both captive and wild reefs, and only pushed Ariel farther down the aquarium industry path. If that pedigree wasn’t enough to qualify Ariel for a top spot on our list of amazing female leaders in the aquarium industry, then her even more impressive experience certainly does. 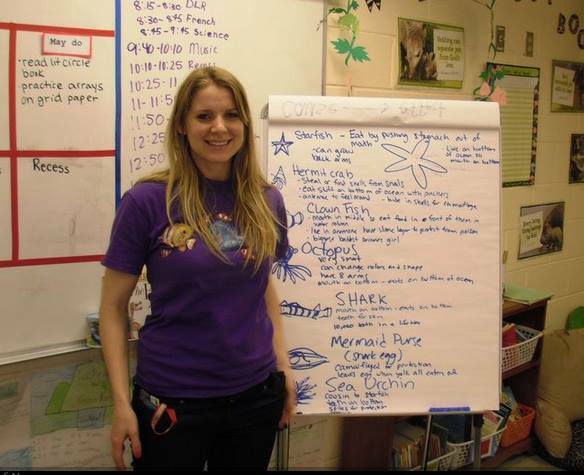 Starting in her teens, Ariel gave talks at Marine Educators conferences about incorporating marine aquariums in the classroom. Leading by example, she donated the first aquarium to a school in Iowa, which helped generate enough interest for the school to develop its own marine biology department for high school students. Directing her passions toward the professional realm, Ariel’s first job was at the Las Vegas based aquarium builder, Acrylic Tank Manufacturing, who happens to be the focus of the Animal Planet television show, “Tanked”. After a brief stint there, she decided it was time to pursue degrees in both biology and business, especially after realizing that many of the aquarium related companies were run by either hobbyists who knew nothing about business or the other way around. During the college years, when Ariel wasn’t following in her grandfather’s footsteps by researching zooxanthellae while crushing up anemones and viewing them under electron microscopes, she began working at Sea World and Boyd Enterprises off and on. 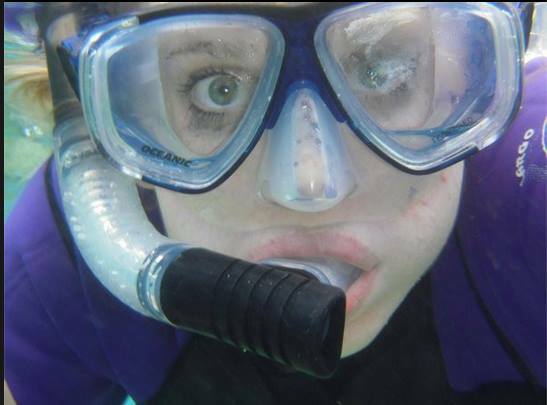 After college, Ariel moved back to her home state of New York to intern under Joe Yaiullo and Todd Gardener at Atlantis Marine World in Long Island. According to Ariel, she learned about taking care of the 20,000+ gallon aquarium that Atlantis is well known for, as well as how to care for fish and breed jellyfish. She went on to say that the experience was an amazing one she’ll never forget. After her internship, Ariel moved on to the popular marine ornamentals wholesalers, Sea Dwelling Creatures, where she worked for a year and a half. After there, she moved on to Pacific Aqua Farms. As Ariel describes, the time spent at these wholesalers, SDC specifically, were periods of intense learning as she got to talk with customers and figure out exactly what types of corals they were specifically looking for. Ariel became passionate about corals during this time, and even developed a taste for rare Australian Euphyllia and Lobophyllia corals. Needless to say, getting to cherry pick corals at a livestock wholesaler makes us intensely jealous, and we can appreciate how hard it must have been to handpick corals for others instead of getting to take them home for ourselves. After leaving Sea Dwelling, Ms. Freudenthal rejoined the Boyd Enterprises team as the Director of Sales. Deciding it was time to pursue her own business ventures, Ariel left Boyd to found her very own company. In July 2011, she became the Managing Partner and CEO at Blue Life USA, and we must say that her efforts there have been quite fruitful. Wanting to make innovative products that bettered the hobby, Blue Life came out with more than just the typical array of marine aquarium media. Their flagship product, Clear Fx Pro, is an all-in-one filtration media that Ariel has been exceedingly proud of and is one that has been well received by the aquarium community. To give her company an even stronger presence within the industry, she and the rest of the Blue Life crew, alongside marine biologists and veterinarians, are working on new products that will come out later this year. 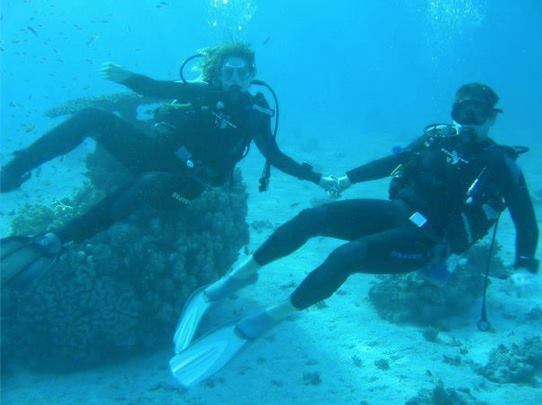 Ariel Freudenthal diving in the Red Sea with her fiance. In closing, Ariel told us that she has learned a lot about the industry by working in different sectors (research, educational, retail, wholesale, and manufacturing), but in the end, her passion still lies with the aquariums themselves. Her ultimate goal is to link the marine biology world, aquarium world, and business world to improve the natural reefs in the ocean and also the aquariums at home. Ariel signed off by stating that she hopes she can fill her grandparents’ footsteps and leave a lasting impression on the industry. We can say, without any sliver of doubt, that Ariel has done just that and we’re sure her grandparents are very proud. At this point, we would like to thank Ariel for telling us her story and we wish her the best of luck with her company. She has had a lasting impression on the community, without doubt, and we’re sure we’ll be seeing many great things from her in the future.